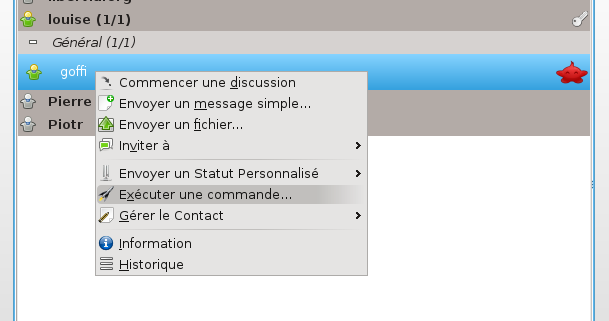 Salut à Toi (SàT) now allows to easily create a remote for most of your softwares, and to share it with permissions management. where "flatmates" is the name of the group which can control Amarok. You may also want to remote control Okular (e.g. for a talk), or VLC on your phone. Below is an example with VLC. "-cl" the "-c" means "connect this profile if it's not already done", the "-l" means that we want to loop on commands (after launching a command, we will return to the command menu instead of finishing the ad-hoc session).
" -- vlc" the "--" is just here to terminate optional arguments, and "vlc" is the name of the software to control. once the command entered, SàT fill look in D-Bus's Session bus to find buses which have "vlc" in their names, and add commands which don't need arguments. The output show what has been found. we enter the jid which exported the remote. 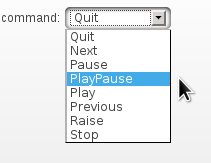 So far, we have to enter manualy the full jid, but in the future, a simple right click should be enough. 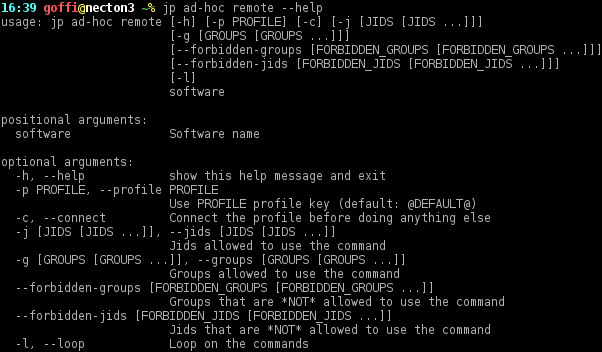 And it's of course working with every XMPP clients featuring ad-hoc commands, like Gajim or Psi (here Louise can use the remote control created by Goffi because she is in her group "coloc"). To conclude, a short demo video (in french). As usual, to watch the video you can use a recent browser (the last Firefox/Iceweasel for example). 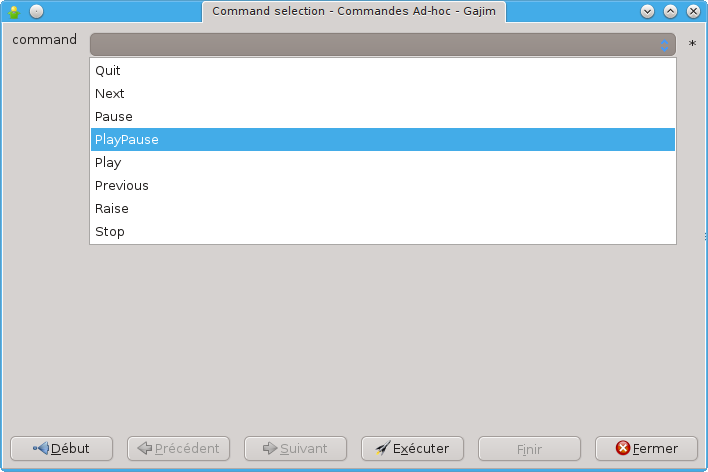 Last but not least, you can use mplayer:: mplayer "http://www.goffi.org/videos/pr%c3%a9sentation_S%c3%a0T_7_t%c3%a9l%c3%a9commande_universelle.webm"